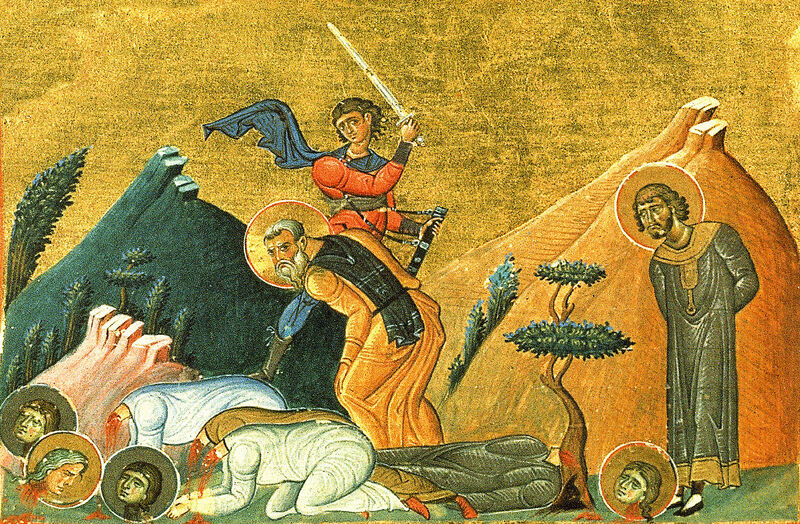 Saint John, a pious Christian soldier, lived in Edessa during the persecution by Diocletian (284-305). When the persecution started, he went to Jerusalem and there he heard about Saint Cyrus. He began to search for him, going first to Alexandria and then to Arabia. When Saint John finally found Saint Cyrus, he remained with him and became his faithful follower. You have given us the miracles of Your martyrs, Cyrus and John, / as an invincible rampart; / through their prayers, frustrate the plans of the heathens, / and strengthen the faith of the Orthodox Christians, / for You alone are good and love mankind. Podoben: “Today the Virgin...” / Having received the gift of miracles through divine grace, O saints, / you work wonders in the world unceasingly. / You remove all of our passions through your invisible surgery, / divinely-wise Cyrus and glorious John, / for you are truly divine physicians.